Our Pitra’s is relating with our birth, sacraments and emotions. Shani relates with our pre-birth, Karma and our Pitra’s condition. Rahu relates with our liability and debt. Ketu relates with our Pitra’s and their absolution. We can know our liability and our Pitra’s condition thorough Shani, Rahu and Ketu. If Shani is good then it shows our pre-birth Karma is very good. 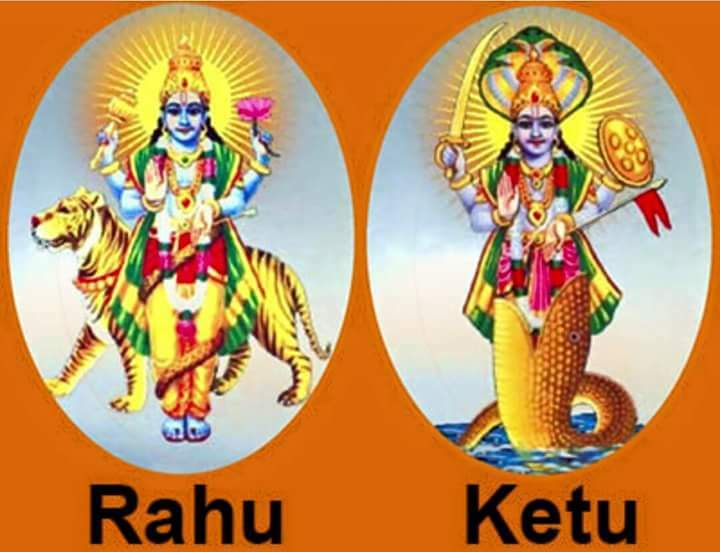 If Rahu-Ketu is good then it shows our Pitra’s are satisfied and their blessings are with us. If Shani or Sun relates with Rahu then it means Pitra’s responsibility is pending. They do not get gratification or absolution. This condition is called as Pitru dosh. If Jupiter is good then we can get rid of every Pitra related problem. Mix sesame in water and pour it in peeple tree during pitru Paksh. Feed poor people. Keep urad products in food. You can plant trees. Chant “Om Sarv Pitru Prasano Bhav Om” hymn for 108 times in afternoon. Keep pious during this month. You can do this remedy in afternoon. Wear white cloth and take raw yarn and white sweet. Take sweet in hand and take seven circle of peeple tree and cover it with raw yarn. You can pray to Pitru to please on you and Rahu-Ketu become normal. Keep sweet under peeple tree after competing circle and pour water to it. Rahu-Ketu becomes normal. Remedy: It is auspicious to donate food or clothes on Saturday. This donation will protect you from Shani and other planet’s pain.